This is going to sound weird but I actually like doing laundry. Well, what I really like is that moment when all my clothes are clean and ready to wear. It feels like anything is possible just because all clothing options are available. I need more of those moments. Your clothes dry faster. The dryer balls bounce around and continually separate your clothes, instead of them turning in a big, wet clump. More separating means they dry faster which saves on energy and saves you money. 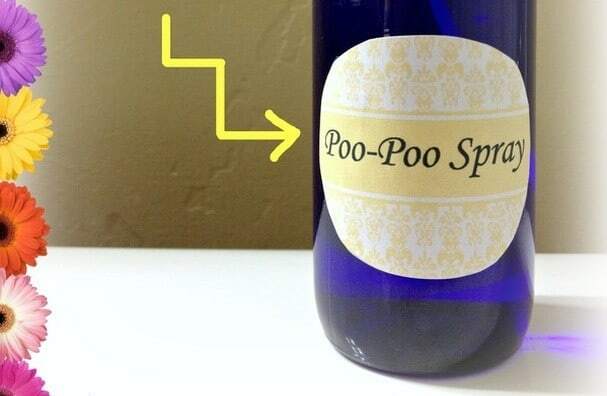 Softens your clothes without toxic chemicals. I stopped using dryer sheets years ago when I discovered that they coat the clothes with a layer of slimy chemicals. Some of the chemicals, along with the synthetic fragrances are toxic. You can read more about it here at the EWG. 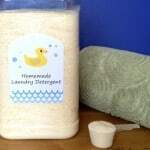 The felted dryer balls rub against the fibers of your clothes and this softens and fluffs them naturally. Reduces static cling. Just yesterday my husband was taking clothes out of the dryer and asked me if I’d noticed that the laundry didn’t really have any static cling anymore. “Uhhh, yeah, since like a year and a half ago when I made the dryer balls. Thanks for noticing.” Apparently someone needs to do more laundry. Better for towels and cloth diapers. Remember the slimy layer of chemicals that commercial fabric softeners leave on clothes? While it may artificially soften them it also leaves them less absorbent. Big problem if you’re washing towels or cloth diapers. Dryer balls soften without chemicals so there’s no reduction in absorbency. You only need 100% wool yarn and an old pair of pantyhose. You’ll need 200-225 yards of yarn for each ball and you’ll want at least 4 balls, although more is okay. 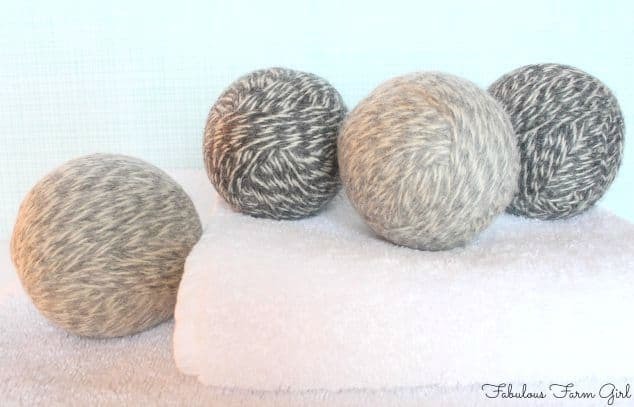 I use four dryer balls and made them on the large side. I Hate Crafts. Can’t I Just Buy Them? Well, these aren’t really crafts I don’t think but, I get it. Even though they’re really easy to make and you could do it while binge-watching Netflix, sometimes it’s just not worth the trouble. Totally cool! These dryer balls will work just as well. You have to use 100% wool yarn and it can’t be labelled “superwash” or it won’t felt. Wool yarn that is not washable works the best for felting but I’ve used washable wool and it works too. 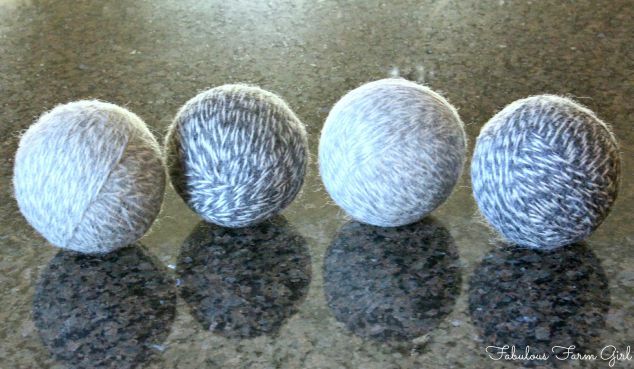 If you have an old wool sweater laying around, or you can find one at a thrift store, you can totally re-purpose it for dryer balls. Just make sure the label say 100% wool. Not only will that save you money but you’ll feel like an environmental rock star. How much wool you buy depends on which brand. The brand I used in the photos you can get a Michael’s and other craft or sewing stores. Each skein only yielded one dryer ball but they were nice and big at ten inches around. I had to use 4 skeins to get 4 dryer balls so it was a little spendy. 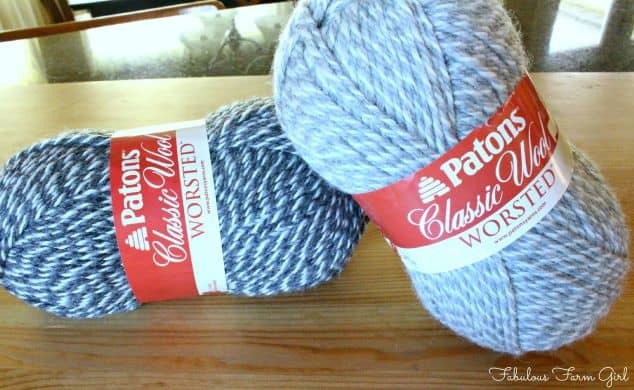 I’ve also used this wool yarn with great results. Each skein yields two balls. I only needed two skeins so it was half the price. (Please note that only the solid colors in this brand are 100% wool. The tweeds are a wool blend). 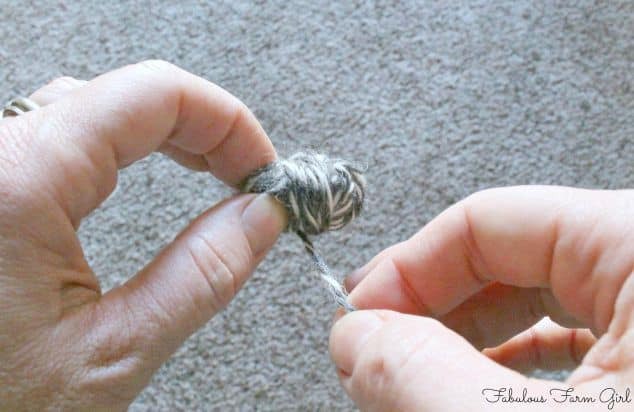 Wrap the yarn around three fingers about twenty times, not too tight. 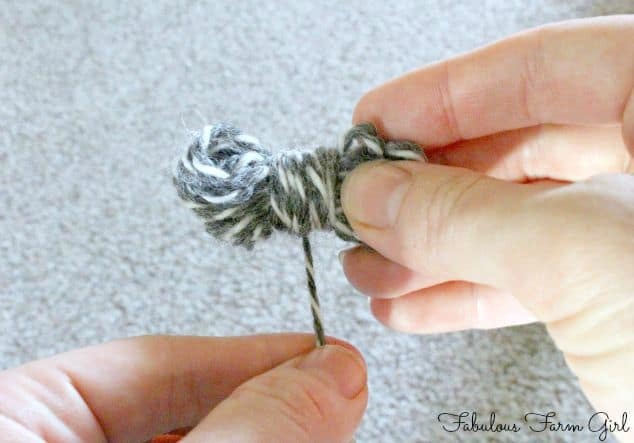 Pull the yarn coil gently off your fingers. 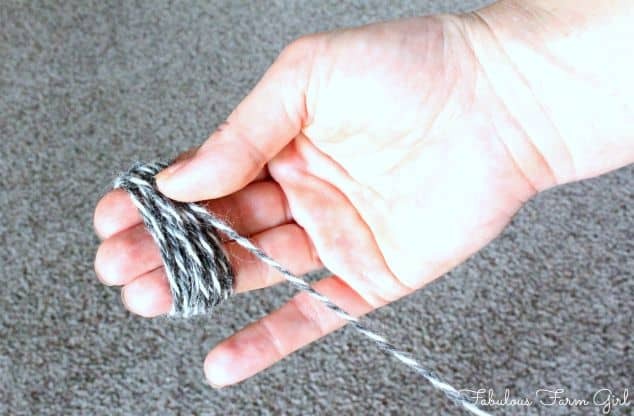 Turn the yarn coil 45 degrees and wrap the center tightly 10-15 times. This is the awkward part but just keep going…it gets easier. Pinch the two loop ends together and wrap the yarn around the center about ten times. Now continue wrapping turning the ball as you go, until you get the ball to the desired size. I like the dryer balls to be big so I wrap until the circumference is at least ten inches. You can make them smaller if you like but I think the bigger ones work better. When you’re done just tuck the last few inches under a tightly wrapped section of yarn using a table knife. Pretty, huh? Now you need to cut off the leg of a pair of old pantyhose. Put the first ball in the leg and push it down the the bottom of the toe. Tie a knot in the pantyhose. Put in next ball and push it down until it touches the first knot. Tie another knot. Repeat with remaining dryer balls and tie off the end when finished. Toss the dryer ball snake in with the next load of laundry along with a couple scoops of my awesome homemade laundry detergent. Wash on the hot cycle 2-3 times. This is best to do on laundry day when you’re washing a bunch of clothes anyway. Just keep throwing the snake in with the next load of wash.
After the 3rd washing, throw the snake in the dryer with your clothes and dry normally. Untie or cut the balls out of the pantyhose being careful not to cut the yarn. Note: You can felt the dryer balls in either a top-loading or a front-loading washing machine. Just throw them in the dryer with every load of wet clothes. Easy peasy! When not in use we just leave them in the dryer so no one forgets or starts using them for batting practice. True story. But What About That Fresh, Clean Scent? Oh, yeah, that’s easy too. Just put the balls in the dryer with your wet clothes and run as usual. 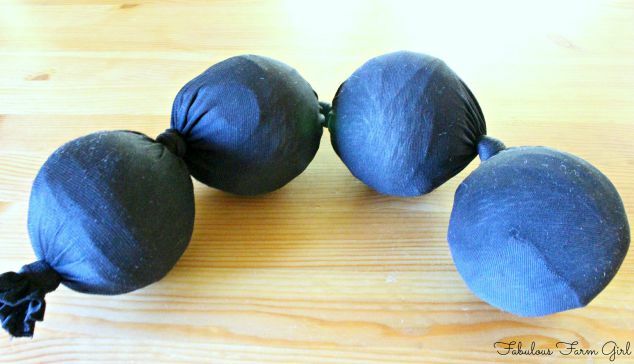 When clothes are done, take out 2 of the dryer balls and put 3-5 drops of essential oil on each ball. 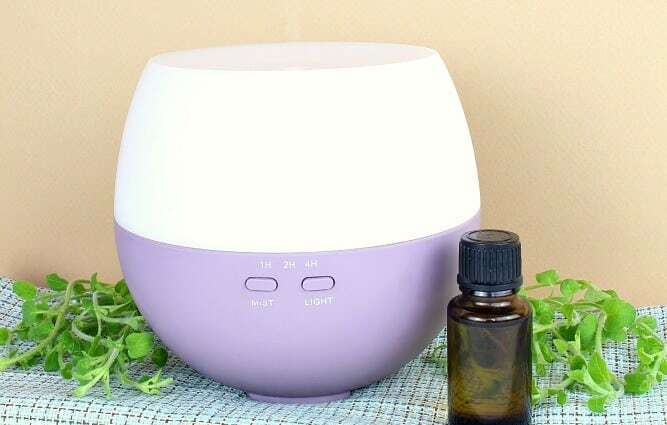 You can use any single essential oil or combo of your choice. Put the balls back in the dryer and run it for 15 minutes on “no-heat”. Remove clothes and call your kids in to fold. You made the dryer balls so you my friend, do not have to fold. These balls actually work for getting rid of static cling! Thank you, Leah! You’re so welcome! Love mine! this dryer ball is something really interesing, will try it next time while doing laundry. By the way, did not know about the side effect of dryer sheet, thank you. You are so welcome David! I have used dryer balls for 2 years and love them. They really do work. Thanks for stopping by! Honestly, I just toss my clothes in the dryer and let the dryer do it’s thing. I’ve never been a fan of fabric softener or fabric sheets, but I may have to give this a try! We do have a bit of an issue with static and cat hair sticking to everything!! I use dryer balls and I still have issues with static cling. I’m not sure what I am doing wrong. I got them as a gift for Christmas last year and have used them all year. I would get static cling now and then, but lately I feel like it is every time I get the clothes out of the dryer. Is it time for me to make new ones? Any suggestions? How long do the balls last? Hi Chantel–thanks for your question. I’ve been using mine for 2 years and they’re still going strong. They will get smaller over time but when that happens you can just wrap some more wool yarn around the balls until they’re back to the size you want and then repeat the felting process. Have a great day! I also keep a spray bottle of diluted organic fabric softener, homemade or my other favorite is Meyer’s Clean Day, (because my husband hates the smell of vinegar) by my dryer. 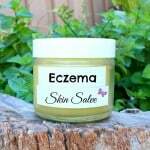 I add EO to it and spray a few sprays in the dryer, gives that fresh scent and is great to use when tossing in dry items for de-wrinkling. The dryer is my worst enemy, it always seems like it lives to shrink clothes I accidentally toss in. These are great, I made my own and they are very similar to yours. Wow! Great idea! How did you wrap them so perfectly? 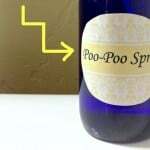 My husband is very sensitive to static in the laundry so he will love it if I try this project. Thanks for sharing! Hi Christina–Once you get the dryer ball going it’s easy to get it wrapped tightly. The felting process helps tighten them up too so I’m sure yours will turn out great. I haven’t had static since I started using them and I live in the high mountain desert of Utah. I would definitely recommend trying them! Thanks for stopping by! I’ve actually been looking for a way to reduce our static cling. I do not use sheets and haven’t had luck with other alternatives. I have all the stuff for this already so Im making these asap! That’s awesome Erin! Let me know how it goes! These not only work but are cute too. An interesting idea which changed how I do my laundry. Thanks. .I made these with same yarn, but I don’t think they felted as well as I would’ve liked, I found a tangled mess in my dryeronce, this after several uses,,any suggestions? Thanks for the tips! Would the wool bleed after the felting process if I used a darker color in with lighter clothes? I’ve used dryer balls before and they are great. 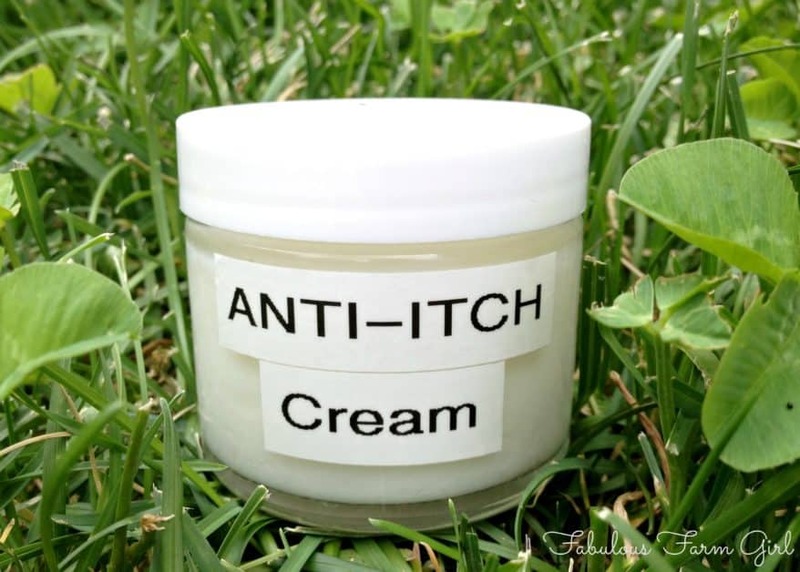 One of my kids has dry/sensitive skin. I was surprised how much Amazon was charging for that skein of yarn though! Michaels is always having sales on yarn it seems and you can get the wool yarn with their standard 40% off coupon if there are no sales. I’ve had some wool yarn for years thinking “what am I going to do with this yarn?” Now I know. Awesome! I love my dõTerra ESSENTIAL OIL’S & I did recycle a wool sweater (paid $ 0.50) & hand stitched them after rolling into tube and tied knot at end, & twisted into itself. Turning &twisting until desired size, then stitched to keep in place. Love your simple farmgirl recipes. I’m a farmgirl myself. I am Indra Prasad Adhikari, a felt maker, from Nepal. I am manufacturing the felt products since 15 years. Raw materials required to make the felt products come from New Zealand which is supposed to be the best wool in the world. The felt products like rug , dryer balls, cat cave, and shoes are 100% organic and are made with experienced hands. Our company exports the felt products in developed countries like USA, UK, Australia, Canada . If you want to have a business with us, we can provide you the products with best quality with the minimal price that cost you less. We can deliver the products in time as we have experienced working hands. Our production of dryer balls per day is 10000 without compromising the quality of the products. Though we can make any felt products as you order, we are extensively producing dryer balls. Here are the prices of the dryer balls according to the size and design.